How to Defer Bitcoin Capital Gains | Originally published by The Bureau of National Affairs, Inc.
December 13, 2018 | By: Max Dilendorf, Esq. and Rika Khurdayan, Esq. Amazon has recently announced that it will build a 4 million square feet headquarters in New York City with an opportunity to expand to 8 million square feet. By choosing to place its campus within a federally designated “opportunity zone,” Amazon could save hundreds of millions of dollars, due to deferred and excused capital gain taxes under the federal program aimed to revive low-income communities by incentivizing long-term investments. This article explores the federal opportunity zone program and provides examples of how, as a result of the program, holders of cryptocurrency and other digital assets may, like Amazon, realize tax benefits by deferring and excluding capital gain taxes through investments in NYC real estate. When a person sells a capital asset after having held it for more than one year, he or she generally must recognize and pay federal income tax at a rate of up to 20% on the gain realized in the sale. In accordance with the IRS guidance, Bitcoin and other virtual currencies are treated as property, and a taxpayer should realize capital gain or loss on the sale or exchange of his or her virtual currency. For many early adopters of Bitcoin and other digital assets that have appreciated substantially since purchase, this tax represents a disincentive to selling their investments. Example 1: Jeff purchased 1,000 Bitcoins in 2012 at $5.00 each and sold them in 2018, when the price started to fall, at $5,900 each. His capital gain from the sale is $5,900,000. In April 2019, he will have to pay nearly $1.2 million in federal income taxes on this gain. Fortunately, new provisions of the federal tax code, 26 U.S.C. §§ 1400Z-1 and 1400Z-2, open doors for investors to sell their appreciated digital assets and move their money into more stable investments without facing an immediate tax liability. Subsection 1400Z-2(c) also makes it possible for digital asset investors to completely exclude income tax on long-term capital gains by allowing them to obtain significant tax benefits to the extent they invest in real estate through a qualified opportunity fund (QOF) in a qualified opportunity zone (QOZ). What are Qualified Opportunity Zones and Qualified Opportunity Funds? Qualified opportunity zones, defined in 26 U.S.C. § 1400Z-1(a) – (b), are low-income census tracts designated by a state’s governor and certified as such by the Treasury Department. A qualified opportunity fund, defined in 26 U.S.C. § 1400Z-2(d)(1) and discussed in more detail below, is a corporation or partnership formed for the purpose of investing in a qualified opportunity zone and that satisfies certain other requirements. South Queens and Long Island City (where Amazon recently announced it would be opening its new headquarters). Under the QOF provision, a taxpayer reinvesting capital gains in such areas can defer paying tax on those gains until as late as 2027, and obtain a 15% reduction in the amount of deferred gains taxed at that time. What’s more, if the taxpayer holds his or her investment in the QOF for at least 10 years, he or she will not owe any federal income taxes on the further gained capital if that investment is later sold at a gain. Example 2: Within 180 days of his sale of Bitcoins, Jeff invests $5,900,000 in real estate through a QOF in New York City. (He will also have to renovate the property, as explained below.) He elects to defer his capital gains under the QOF program, and so pays no federal income tax on his gains in April 2019. In April 2027, if Jeff still held his QOF investment at the end of 2026, as the tax provision stands right now, he will pay the 20% long-term capital gains tax on the deferred gain, but only on 85% of such gain, or $5,015,000. His tax on the deferred gain will be just over $1 million, a savings of nearly $180,000. In 2030, Jeff sells his investment in the QOF for $12 million. Normally, he would owe tax on the $6.1 million gain he realized. But, under the QOF program, he can elect to increase his basis in that investment to the fair market value ($12 million), in which case he will owe no federal income tax on the sale and will save $1.2 million. In short, for investors holding quickly-appreciated digital assets like Bitcoin, the QOF program offers a chance to diversify their holdings by investing in New York City real estate and to benefit in three ways. First, by deferring the capital gains tax due until as late as 2027 (for the year 2026). Second, by obtaining up to a 15% discount on the capital gains tax under certain conditions. And third, by selling the QOF investment with zero tax on its appreciation, after holding the investment for at least 10 years. 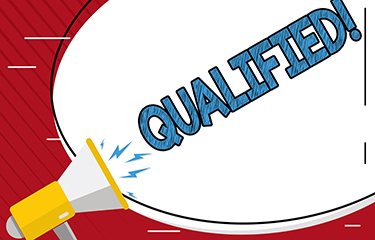 Of course, the rules for eligibility in the QOF program are complex. Taxpayers must carefully review the requirements, undertake appropriate planning and due diligence efforts, and consult a tax attorney before deciding to participate in the program. 3. An exclusion of federal income tax on the capital gained from the QOF investment held for at least 10 years by elective increase in its basis to the fair market value. Ordinarily, under 26 U.S.C. § 451(a), capital gains must be recognized in the year in which they are realized. However, a taxpayer, including corporations, partnerships, and trusts, who reinvests capital gains in a QOF, can defer recognition of those gains until as late as December 31, 2026. The taxpayer’s basis in his or her investment. Five years, the basis will be increased by an amount equal to 10% of the deferred gain. Seven years, the basis will be increased by an additional 5% of the amount of the deferred gain. As a result of these basis adjustments, the amount of deferred gain subject to tax may be reduced by up to 15%. Because of the requirement for a seven-year holding period to qualify for the 15% reduction, taxpayers who wish to benefit from it must invest in a QOF by December 31, 2019. To benefit from the five-year 10% reduction, investments in a QOF must be made by December 31, 2021. Finally, if the taxpayer holds his or her investment in the QOF for at least 10 years, then the basis of that investment will, upon the taxpayer’s election, become equal to the fair market value of the investment on the date it is sold or exchanged. In other words, if the QOF investment is held for at least 10 years, the taxpayer will not recognize any further gain upon its sale or exchange, even if its value has increased. Investors desiring to benefit from this aspect of investment in a QOF must make their investment no later than June 2027 (180 days after a capital gain realized on December 31, 2026) and must sell the investment and elect this treatment no later than December 31, 2047. A taxpayer can invest in a QOF in one of two ways. First, he or she may purchase an interest in an existing QOF. However, to date, relatively few QOFs seeking outside investors have been established. Only entities organized in one of the 50 states, the District of Columbia, or a U.S. possession are eligible for a QOF status. An entity’s status as a QOF must be determined and certified each year. QOZ stock and QOZ partnership interest are defined in similar terms: A QOF must acquire the interest (stock in a domestic corporation or a capital or profits interest in a domestic partnership) after December 31, 2017, and the corporation or partnership must qualify as a “qualified opportunity zone business” both on the date of acquisition and for substantially all of the time during which the QOF held the interest. A QOZ business is a trade or business in which substantially all (according to the Treasury Department’s proposed rules, “substantially all” means 70% of the tangible property owned or leased by the trade or business) of the tangible property owned or leased by the business is a QOZ business property, and that satisfies certain other requirements. During substantially all of the QOF’s holding period for the property, substantially all of the use of the property was in a QOZ. To summarize, to establish a QOF, a taxpayer must form a domestic entity that: (a) is taxed as a corporation or partnership; (b) owns, directly or indirectly (through a QOZ stock or a QOZ partnership interest), most assets eligible as QOZ business property; and (c) self-certifies as a QOF each year. The Secretary of the Treasury has certified more than 500 qualified opportunity zones in New York, including nearly 300 in New York City, providing an incredible amount of options to owners of digital assets who are willing to invest in real estate and wish to reduce their tax burden. Investors seeking to participate in a QOF in one of these areas may be able to find a vacant lot on which to build a completely new property. However, most investors will possess more limited resources and will have to renovate existing buildings. In that event, for a building to qualify as QOZ business property, the QOF will have to make substantial improvements to it. Substantial improvement means renovations sufficient to at least double the property’s basis in the hands of the QOF within a 30-month period after purchase. Therefore, it is pivotal for an investor to carefully plan out a particular type of real estate investment in advance so that the expected benefits can be obtained. 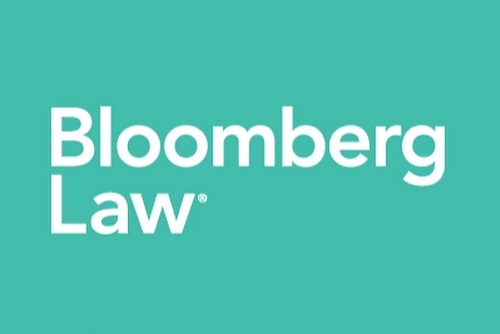 Despite the meticulous statutory requirements, the qualified opportunity zone program offers taxpayers with substantial unrealized gain in Bitcoin or other digital assets a limited chance to diversify their investments, obtain significant tax savings, and benefit low-income communities in New York City and around the United States. To take advantage of all the program’s benefits, taxpayers must invest in a QOF by December 31, 2019—seven years before they will be required to recognize their deferred gains on December 31, 2026. Because of the legal and financial complexities of establishing a QOF, selecting a suitable investment property in New York, and assessing the risks associated with the investment, individuals, corporations, partnerships, and other taxpayers eligible to participate in the program will do well to conduct appropriate planning and due diligence before availing themselves of the potential opportunities. Max Dilendorf, Esq. 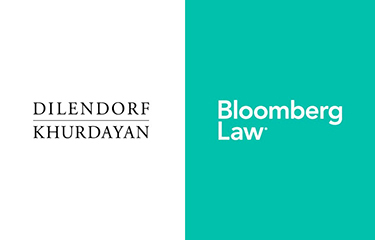 is the founding partner of Dilendorf Khurdayan, PLLC. Max’s practice involves real estate and digital assets. For real estate clients, Max handles all phases of real estate transactions, including tokenization of real estate, structuring cross-border transactions using digital currency, acquisitions, dispositions and financing of commercial and residential real estate in New York. Max also advises investors on effective real estate holding structures and tax consequences in connection with ownership, operation and transfers of U.S. real property interests. Rika Khurdayan, Esq. 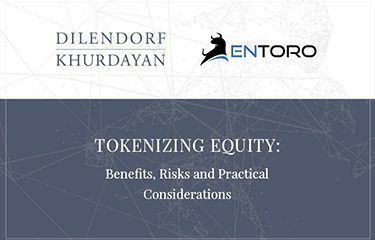 is the founding partner of Dilendorf Khurdayan, PLLC. Over the years, Rika has advised a variety of clients, including emerging companies, private equity and venture capital funds, private companies and family offices in their development, acquisition, investment and disposition strategies. Rika’s current practice focuses on blockchain, virtual currencies, digital security offerings and tokenization of assets.